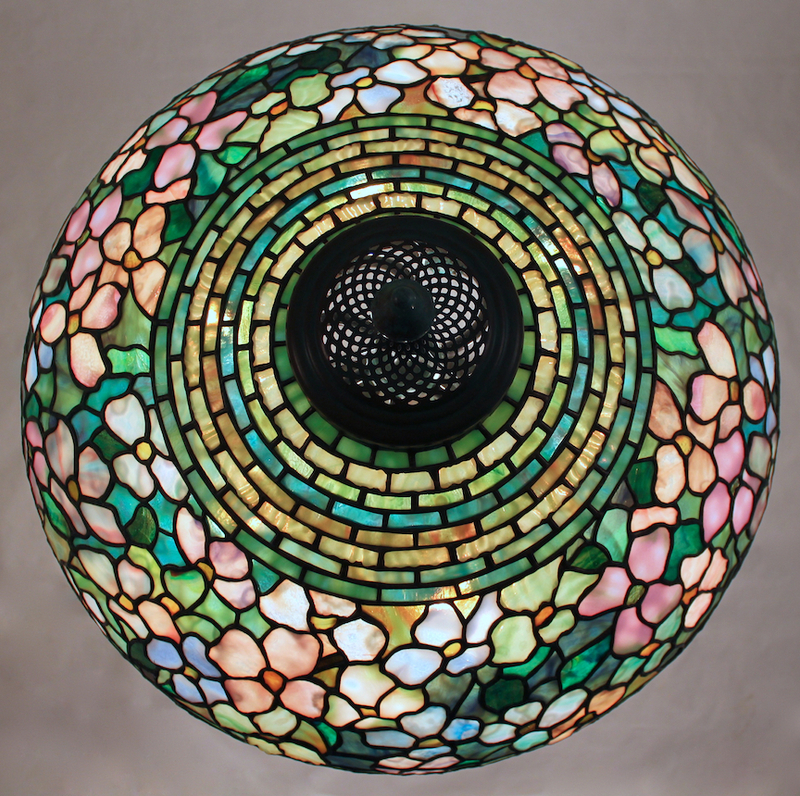 Large floral shades represent the best lamp designs created by Tiffany Studios. Inspiration, painstaking attention to detail, and much time is needed to successfully execute a large floral shade. 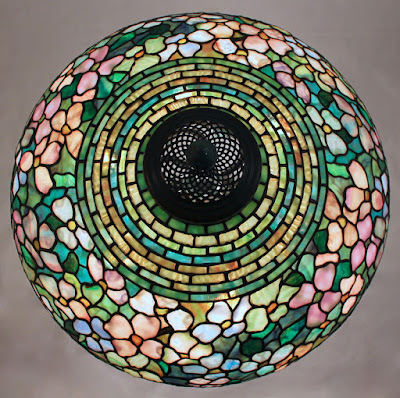 We recently completed this 22″ Dogwood shade. The completed shade is shown on the Perforated base. This large base has six lights and telescopes so that it can be set at different heights. We began this shade as a piece for our showroom, but midway through the construction one of our local clients stopped into the studio and purchased the shade. 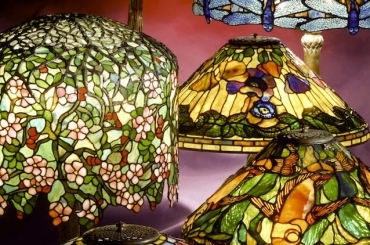 Bill Campbell took on the challenge of selecting the layout for this shade, a process that began with choosing background glass that would support the flower colors. In the end, Bill carefully blended five different glasses together to create an impressionistic backdrop for the flower colors. Once the background was in place, flowers were added individually to the layout. 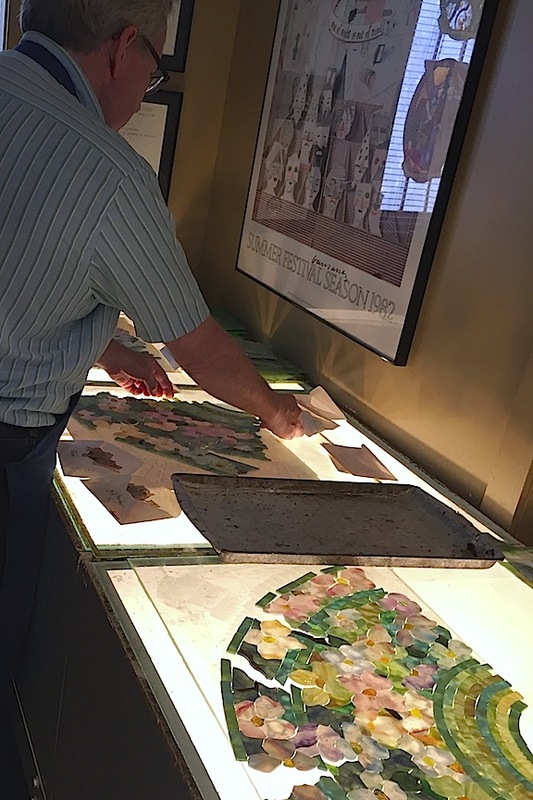 The completed layout was put together on the light table to give the colors a final check before the process wrapping the edge of each individual piece of glass in a thin copper foil. 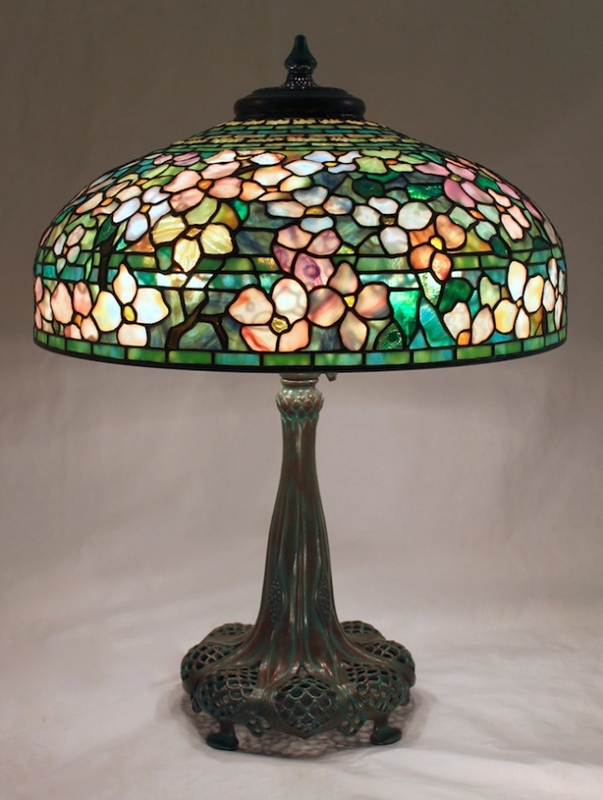 Irwin then transferred the foiled pieces onto the wax covered form and soldered the shade together. The completed 22″ Dogwood from above. This design has an unusual configuration of border rows at the top of the shade. The glass for the borders was carefully chosen to enhance the colors of the finished shade.